In an article by Cliffor Krauss titled, “Trump Hit Iran With Oil Sanctions. So Far, They’re Working,” the Times reported that Trump had defied foreign policy experts and achieved what few of them would have thought possible. 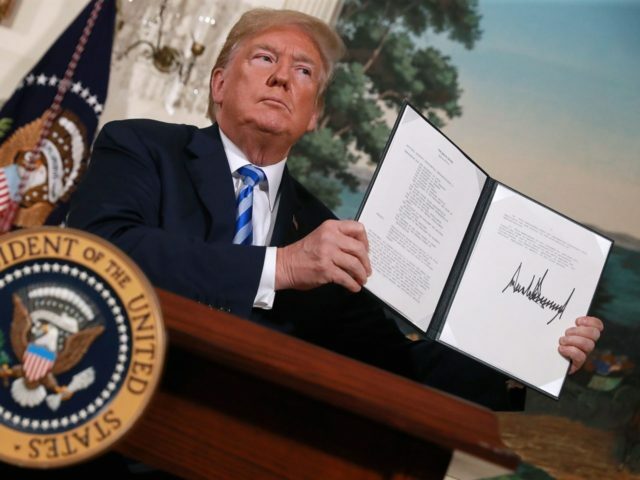 The article also noted that while European governments have criticized Trump for pulling the U.S. out of the nuclear deal with Iran, European companies have been supporting Trump’s policy by pulling out of Iran (as Breitbart News has reported).